Tattoos can be a beautiful and artistic form of self-expression – but they can also be the source of those “What was I thinking?” moments. It can be easy to get caught up in the excitement of the moment, and although it seemed like a good idea at the time, you may find yourself regretting your ink years later. Dr. Hankins provides expert tattoo removal services to residents all over Pearland, Lake Jackson, Houston, and the surrounding areas of South Houston. As we get older and our roles in society change, so do our priorities in life. Maybe your friends went with you to have one themselves, or you got one to demonstrate your love for a significant other at the time. No matter what the original motivation may have been, not all tattoos stand the test of time. The good news is that the laser technology available now shatters tattoo ink, resulting in greater clearance (lightening) throughout fewer treatments with improved recovery time. For whatever reason, if you regret that decision now, you can safely get better clearance for any unwanted tattoos. Take control and empower yourself to the fresh start that you deserve. At Pearland Premier Plastic Surgery, Dr. Christopher Hankins and his staff are able to help you get better tattoo clearance of your unwanted tattoo whether you regret it, don’t like it, or need to provide clearance to the visible tattoo because of a new career. Dr. Hankins uses the latest in laser technology to safely lighten your tattoo. Laser removal is a procedure in which the laser light penetrates the skin and is absorbed by the ink particles, leaving the area around the skin unaffected. The laser shatters the ink, permitting the body to clean out the remaining ink particles. If you’re a healthy adult and have regrets about a tattoo, you are likely a good candidate for tattoo removal. During your initial consultation, Dr. Hankins will discuss your options with you and help you determine if tattoo removal will work for you. Then, based on your medical history and unique aesthetic goals, you’ll work together to develop the best treatment plan to accomplish your aesthetic goal. What is Recovery Like After Tattoo Removal? Depending on how many sessions are required to accomplish your desired goal, total recovery time can vary greatly. Much will depend on how large the tattoo is, the colors used, how many layers of colors were applied, and several other considerations. Dr. Hankins will answer any of the questions you may have about recovery times and address all your concerns about the process and the recovery in your initial consultation with him. Dr. Hankins and his entire staff realize that you need accurate information, and want close, personal attention with skilled care. They strive to provide this for each patient in every procedure. What Results Can Be Expected from Laser Tattoo Removal? The end results for tattoo removal vary depending on the color of your skin, the color and type of your tattoo, and also the complexity of the tattoo. Tattoo laser removal may require more than one session. The amount of treatments needed will be determined by Dr. Hankins. How Much Does Tattoo Removal Cost in Houston, TX? Costs can vary, based on a variety of factors, and will be thoroughly discussed during your initial consultation. We try to keep things as affordable as possible for our clients by offering free consultations, as well as several options to pay, including LendingUSA® and United Medical Credit. If you have any questions about the fees or financing for your treatment or procedure, please don’t hesitate to ask. At Pearland Premier Plastic Surgery, our services are designed to improve your general skin health and to give you a youthful, beautiful appearance. 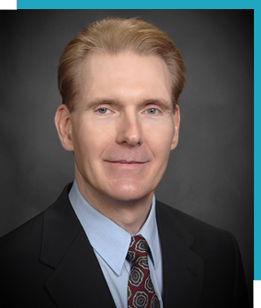 Dr. Christopher Hankins has served the residents of Pearland, Lake Jackson, Houston, and the surrounding areas of South Houston for many years improving their well-being and quality of life. To find out if tattoo removal is right for you, contact our office today to schedule your complimentary consultation.